Wyvern Rising includes the existence of fantasy deities and religious sects. These were created specifically for game purposes and are not intentionally patterned after any real faith or religion. Nearly all societies place high value on spiritual beliefs, though the nature of those beliefs varies from culture to culture. Religion has been a part of each race’s culture since the earliest recorded histories. As the different races matured and began to establish relations with one another an astonishing discovery was made: the principle faiths of nearly all the peoples of the known world made reference to the same four divine beings. These deities were Diakonoff, Kishar, Oberim, and Qos. There were, of course, some opposing views over the hierarchy of the deities as well as their forms of worship. Even other minor deities are mentioned in various ancient texts and tomes. However, Diakonoff, Kishar, Oberim, and Qos were nearly universally identified as the same divine individuals across racial, social, cultural, and language barriers. The gods are active and dynamic, and they bestow incredible powers upon the priests and clerics who worship them. The prayers invoked by their followers reflect the natures of the gods themselves. Over the centuries the gods have called on extremely devout individuals to be their messengers amongst the races. These prophets have handed down the divine prayers and rites that are still used today to invoke the power of the gods. In the year 71 of the Age of Council a catastrophic event happened. A being known as Icarmadoro ascended to the divine realm and slew the god Qos. Icarmadoro then took Qos’s place among the gods. Qos’s essence was split between Icarmadoro and Diakonoff. When Qos died, the prayers and rites in his name lost their divine power and could no longer be invoked. It is said that before he died Qos spoke to his followers and urged them to choose between Diakonoff and Icarmadoro. Diakonoff has command over justice, light, wisdom, and purity. He is strong and demanding, but not without mercy. He commands truth and purity in his followers. Most major civilizations place Diakonoff in dominance over the other deities, with Kishar as his closest companion and Qos his nemesis. While the scriptures often place Diakonoff and Qos in opposition to or disagreement with one another, they are never directly referred to as enemies. In fact the prophets seem to make a point of saying otherwise. Diakonoff is invoked to preside over nearly all large public gatherings, including tournaments, coronations, trials, and executions. Virtually every city of the Old Continent has a Diakonic church or cathedral, and most small towns at least have a chapel. The vast majority of people attend services honoring Diakonoff at least once a week. His followers include people of every class and disposition. Monasteries devoted to him dot the countryside. Most are dedicated to research and reflection. The monks and friars who dwell there spend their long and quiet lives poring over ancient scripts and scrolls, gleaning bits of information in the search for enlightenment. However, there are also more militant sects who exhibit the forceful nature of Diakonoff’s will. Kishar is benevolent and compassionate. She holds dominion over the earth, nature, life, and mercy. She grants her servants the ability to heal wounds with a touch, and to call spirits back to their mortal bodies thereby granting new life. She also allows her priests and clerics some limited control over the forces of nature. Most of her followers are reluctant to become involved in combat, but they should not be mistaken for pacifists or cowards. The natural forces at their command can be powerful when they choose to use them. Kishar’s clergy rarely carry metal weapons or tools. They prefer wood, rock, and bone. They almost never wear armor of any sort except for the occasional leather jerkin. Most Kisharan sacraments are held at outdoor chapels. Kishar is often called “Lady Earth” by her devotees. She is sometimes witnessed by those who spend a great deal of time outdoors. Farmers claim sightings of her walking through the grain fields at harvest time. Her glowing form with long, golden hair is considered to be an omen and blessing upon the land. Still others claim to have seen her and heard her soft voice in the deep greenwood, where she is said to wear a long green cloak adorned with wild nuts and blossoms. Farmers look to her for abundant crops and commoners give offerings of food and flowers in hopes for good health, especially when a woman is with child. Hunters and rangers can be heard to thank Kishar for plentiful game. Oberim is an enigmatic deity with an unusual dualistic nature. He maintains the balance between logic and emotion, between wisdom and passion. He is thought to control the flow of knowledge and enlightenment as well as the tide of strong emotion. He is perceived to be completely neutral, neither good nor evil, nor light nor dark. There are precious few scriptures that refer to him, and in those that do he is rarely the central figure. Usually he is an observer or bystander to the actions of the other deities. On occasion he speaks to the others and imparts wisdom or sometimes brief but violent emotional outbursts. One of the most well known Oberic scriptures notes him mourning for 70 years, though the reason is not mentioned. Like the deity himself, Oberim’s followers are often not fully understood by the general population. Their ceremonies and sacraments are strange and secretive. The inner circle of Oberic clergy are mysterious figures whose identities are known to very few. This secrecy and mysticism causes concern amongst many people who are convinced that they are agents of evil. This, however, is in contradiction to the actions of the priests and clerics who represent Oberim to the masses. Many people seek Oberim’s guidance when faced with great decisions. Others ask for his help in magnifying or suppressing strong emotions such as jealousy, hate, and love. There are many chapels dedicated to Oberim but most are small, tended by only two or three clerics. Icarmadoro is the god of murder, vengeance, hedonism, and death. His nature is that of self-indulgence, change, and chaos. Icarmadoro is cruel and malevolent and this is often reflected in the actions of those faithful to him. Icarmadoro promises great personal power to those who worship him. This power can take many forms: glory gained in the red ruin of battle, secretly controlling the lives of mortals as if they were puppets, or even through eternal life. Icarmadoro calls his followers to live for personal pleasure no matter what the consequences are or how it is achieved. He encourages mortals to give in to the wicked nature that lives inside everyone. Icarmadoro is also the progenitor of vampires and considered to be their patron deity. Worship of Icarmadoro is forbidden by almost all races and cultures. Icarmadoro was, at one time, the avatar and chief servant of Qos. Icarmadoro was created by Qos himself, but it is said that he became too prideful and had a falling out with his master. Icarmadoro was banished from the divine realm and forced to walk the physical world for eons. He was cut off from the divine light of the gods such that he hungered for it. He was able to access their divinity through the blood of mortal creatures, thus becoming the first vampire. For time untold Icarmadoro walked the earth until the year 71 of the Age of Council. He assembled a large army of Unholy creatures and was able to ascend to the divine realm. Once there it is said that he slew Qos with his own spear and absorbed his essence, becoming a god himself. NOTE: Even though Qos is deceased, there are many who still worship him as the deity he once was. Those who worship Qos cannot purchase Faith to him, because his prayers and rites no longer have power. Qos’s realm of dominion includes war, vengeance, and retribution. While not inherently evil, Qos’s followers are often violent and vindictive. They are prone to short tempers and quick action. The worship of Qos has not been outlawed, but severe restrictions have been placed on the number of persons allowed to attend a ceremony or sacrament. This was instituted in order to prevent the outbreak of violence and bloodshed that often accompanies such gatherings. It seems when Qos’s followers are whipped into frenzy, they are as likely to attack one another as they are their adversaries. The kings of Alessandria have historically maintained a small chapel dedicated to Qos, with a few attending priests and clerics that were called upon in time of war. Scholars claim the scriptures tell that Qos and Kishar were once lovers, and some theorize that it was their union that created the world. They say that it is because of his influence that people and nature are prone to fits of violence. The eruption of volcanoes, shaking of earthquakes, and destructive storms are all representations of Qos. It is said that Kishar tried to rid the earth of all these forces, but Qos refused to allow it, and that it was this dispute that caused them to separate. It was Diakonoff’s intervention and mediation in this dispute, and more so his subsequent partnership with Kishar, that caused animosity between himself and Qos. Augury Divination of knowledge and information. It is used to gather knowledge as well as to impart it. It can also include manipulation of thoughts and memory. Kinesis Control over movement and motion. Prayers of this type will cause or impede movement or alter the form of motion. Summoning Creation and manifestation of physical objects by siphoning and manipulating energies from the spiritual plane. Summoned items are temporary. It is believed that the deities retain the full magnitude of this power for themselves and will not allow mortals to create truly permanent objects. Transmutation Changes in the composition of matter and energy. This process of alteration can greatly change an object’s properties, albeit on a temporary basis. The last factor in prayer invocation is Piety. Wyvern Rising uses a “prayer slot” system for invoking prayers. These are slots are represented by the skill Piety X. Each Piety slot allows a cleric to memorize (and later invoke) one prayer at the cost of Faith points. Piety levels are given a numeric value, and each prayer will have a corresponding level. Prayers of Piety 1 require a Piety 1 prayer slot for memorization and cost 1 Faith to use; prayers of Piety 2 require a Piety 2 slot and cost 2 Faith to use, and so on. Multiple Piety slots may be purchased for each level, allowing for an increasing number of prayers available for invocation. There is an upper limit, however. A cleric may only purchase Piety slots in a pure pyramid fashion. That is to say, a character may only purchase five Piety 1’s, four Piety 2’s, three Piety 3’s, two Piety 4’s, and 1 Piety 5. Upon invoking a prayer, Faith from that Deity is expended for the duration of the period. The same prayer may be cast several times from the same memorization. This allows a cleric to invoke the same prayer multiple times per period, yet allowing the cleric to invoke the proper prayer for the right situation. Because of this “spontaneous casting,” Clerics should keep in mind what prayers they would like to fill their Piety slots with for the coming period. Prayers are comprised of a number of elements: a prayer name, a prayer inscription, a Faith cost, a Piety rank, a delivery method, and an effect. This may seem like a lot, but they all fit together, as will be explained in this section. Each prayer has a distinct name that defines it as a unique prayer. These names are usually indicative of the effect of the prayer, but exceptions do occur. Following that is the prayer inscription; a short invocation that calls on one of the gods to answer the cleric’s prayers. Prayer inscriptions take the form of special words written in the religious script, the divine language of the gods. Only those who have the skill Read Prayer are able to translate prayer script. Prayer script is not a normal language and it cannot be decoded by any mundane means, even with a cipher. The Faith, Discipline, and Piety are the same as described in the previous section. The next part of a prayer is its delivery method. The delivery method describes how the prayer reaches its target and is divided into three categories: Ranged, Touch, and Personal. Ranged prayers must be invoked by using a spell packet. The spell packet must leave the cleric’s hand before it reaches its target. The distance it travels can be very small, even a few inches, but it must not be in the cleric’s hand before it makes contact with the target. Touch prayers are invoked through the cleric’s hands. These prayers may not normally be used with a spell packet. To invoke the prayer the cleric must physically touch the target with their hands or use boffer hands. The last delivery method is Personal. Personal prayers are prayers that affect the caster only. Because of their nature they do not require spell packets or physical contact in order to be invoked. Some of these prayers are “point and click” prayers. This means the cleric can invoke the prayer upon a target within range simply by pointing at it and calling the prayer. Some prayers exhibit physical manifestations of the divine energies unleashed while others are quite covert. All ranged prayers have such manifestations and can be seen being invoked. This means that players are free to try to avoid spell packets flying in their direction, as these potentially lethal divine energies can be seen hurtling towards them. All touch prayers, however, show no signs of being invoked. It is not possible to tell that someone has a touch prayer cast upon them simply by looking at them, and other means are needed (such as any prayers that detect the presence of divinity, or even logical reasoning because the person is acting strange). Personal prayers are a mix between the two. Most personal prayers cannot be detected, however some require the use of a boffer weapon, such as the prayer Manifest Weapon. In any instances where an item, such as a boffer weapon, is needed to represent the prayer then the prayer effect is visible. When a personal prayer does not require an item to represent the prayer, then it is not visible, and can only be detected using the same methods as for a touch prayer. The last, and most important, aspect of a prayer is its effect. This describes what the prayer actually does; whether it causes damage to an enemy, creates divine armor to protect a comrade, or a myriad of other effects. If a prayer has a duration, casting time requirement, or radius of effect, this is also listed with the effect. Each priest and cleric usually maintains a prayer book that contains proper inscriptions for all of the prayers that they know. Prayers may be obtained from various sources. They may be copied from another cleric’s book, or they may be transcribed from prayer scrolls or scripture books. However, if a prayer is written improperly it may not work at all or, even worse, it may cause unexpected effects. Other prayers may be ‘false’ prayers, specifically created to misdirect the invoker. Whenever possible, clerics should check their prayers against a second source to verify that they are correct and complete. Before invoking prayers a cleric must memorize the prayers they wish to invoke. Prayers are, in essence, special powers or minor miracles that a deity bestows upon his or her faithful servants. A dedicated cleric must spend time each day in meditation and contemplation in order to become attuned to the divine influence of the deity. During this time the cleric humbly asks for the ability to perform certain miracles and memorizes each prayer they wish to later invoke. This is done by assigning prayers to prayer slots at the beginning of each game period. A cleric must assign prayers as close to the beginning of each period as possible. Prayers are selected only once per period and may not be changed after they have been memorized. The exception to this rule is Meditate, which is a skill that allows a cleric to spend time reflecting on the trials they are about to face. After spending 2 minutes per rank of the Piety, a cleric may swap one prayer in their slot for another of the same rank. This can be done at any time. Clerics must also have access to a copy of each prayer they wish to memorize, whether it is in their prayer book or on a sacred scroll, through they do not have to carry it on their persons. The player’s character card should have one box titled “Period 1 Spells/Prayers” and one box titled “Period 2 Spells/Prayers.” When a cleric assigns their prayers they must write the name of the prayer and its Piety rank in the appropriate box on their character card. A cleric may only assign one prayer per slot. A cleric cannot assign higher Piety prayers to lower Piety prayer slots or lower Piety prayers to higher Piety prayer slots. When completed the player must present their prayer book (or whatever prayer source the cleric used), and their character card to a Staff Member or Rules Marshall. The Staff Member or Rules Marshall will then check to make sure that the player has a physical copy of each prayer and assigned the prayers correctly. If the cleric meets all of the requirements the staff member will initial the box. Once the box has been initialed by a staff member, it is locked and cannot be changed for the duration of the period, save for Meditation. As mentioned above, before invoking a prayer it is first necessary to have the prayers assigned to prayer slots and initialed by a staff member. In order to invoke a prayer the cleric simply states the name of the prayer as loudly and clearly as possible, throws a spell packet or touches a target, and gives a brief synopsis of the prayer’s effect. Some prayers require a concentration time to invoke. During the casting time, the cleric may not run, use a weapon, attack, or defend. If the cleric is wounded or otherwise disrupted they must begin the casting anew. At the end of any combat situation a cleric must total the amount of Faith they used and subtract it from their character card. If prayers are cast out of combat the cleric must immediately spend the Faith on their character card. If a cleric invokes a prayer that they do not have assigned to a prayer slot or overspends their Faith points the cleric immediately falls into the third stage of the Death Count. This means the cleric’s patron deity has been angered by the overuse of the deity’s divine gifts. The deity smites the cleric for their irreverence. Prayers are expended even if the cleric misses their target. Prayers also require the cleric to say the prayer name. This is a representation of the words the cleric must speak to call upon their patron deity for assistance. If a cleric is unable to speak for any reason, they are unable to invoke any prayers. Enhancement prayers of the same Discipline are not able to be stacked. If a cleric invokes an enhancement prayer on someone who already has an enhancement prayer in effect, and both prayers have the same Discipline, then the second prayer completely overwrites first prayer. This also happens when a prayer with duration is invoked upon a target and then is invoked again on the same target before its duration ends. When a player makes a cleric as a new character he/she is allowed to start the game with a prayer book and gets to pick from a number of starting prayers to begin the game with. The player is allowed to choose one prayer for each Faith/Piety combination he/she can make. The prayers must be chosen from the public prayer list. Dedicated clerics may eventually learn to perform elaborate and complex procedures called Rites. Rites are ceremonies conducted to create a channel to a deity and draw large amounts of power; more than simple prayers will allow. Through these holy rituals a cleric may perform works of great magnitude in the name of their patron deity. Rites can include such effects as consecration of objects and persons, the invocation of permanent blessings, and even resurrection of the dead. Most Rites need to be performed in a certain location; usually a monastery or chapel with a consecrated altar. Typically, they also require special ceremonial items like holy water, a sacred dagger, or any of a variety of other objects. The procedures to complete a rite must be followed exactly or the cleric risks failure and retribution from a displeased deity. Rites also have a Faith and a Discipline associated with them. However, there are some rites that have only a Faiths and no Discipline, some that have only a Discipline and no Faith, and some that have multiple Faith and/or multiple Disciplines. Rites, regardless of Faith or discipline, do not require a Faith expenditure, just a Faith requirement. The rank of a rite functions just like the Piety level of a prayer. 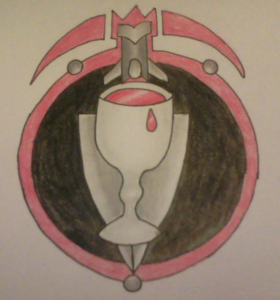 A cleric will need to have the appropriate Rite X skill in order to preside over rites of rank X. Unlike prayers, a cleric only needs to learn Rite X once before he/she can perform all rites of that rank. A cleric who performs a ritual is known as the celebrant. Finally, rituals have a unique element called the Minimum Faith Requirement. The Minimum Faith Requirement is a numeric value that represents the minimum Faith a cleric needs in order to perform the rite. This represents the amount of Faith necessary to create a divine link with the cleric’s patron deity. If a cleric falls short of the Minimum Faith Requirement he/she may enlist assistance from his/her priestly peers. Any person with the skill Assist Rite and at least one Faith point in the appropriate deity can lend his/her help. Assistants can expend unused Faith to boost the celebrant’s Faith level. An assisting cleric may only expend Faith up to his/her Faith level, and once involved in the rite he/she must continue to participate until the ceremony is completed. Any number of clerics may assist a rite, and some very powerful procedures are likely to require several participants. Prayers may also be scribed to scrolls and later invoked directly from the holy document itself. Scrolls are written in the ancient language of the prophets, and only those persons with the skill Read Prayer can interpret this script. Not even a cipher will help decode prayer script. In order to invoke a prayer from a prayer scroll a cleric must have Read Prayer, as well as at least one point in the Faith and a Piety rank. A prayer scroll is invoked in the same way as normal prayers, except that they are always instantly cast, even if the prayer would normally have a casting time. The scroll must be in the cleric’s hand when calling the invocation. Prayer scrolls may only be used once. When the prayer is invoked, the scroll is consumed by the divine energy released from it. It must be destroyed immediately after it is used. Creation of a prayer scroll is a meticulous, often tedious, process. Prayer scrolls are carefully inscribed on sacred, consecrated parchment. Only clerics with the skill Scribe Prayer can accomplish this task. To create a prayer scroll, a cleric must first have High Quality parchment on which to scribe it. The parchment then needs to be consecrated through a special rite to the cleric’s patron deity. Next, the cleric must have access to a written version of the prayer he/she wish to scribe. Transcribing the prayer to the sacred parchment requires double the Faith of the prayer. Because prayer scrolls must be written very precisely, great care and concentration are given to their creation. A cleric may spend upwards of a month scribing a single, powerful prayer scroll. The Divine Crafting Chart lists the time needed to scribe a scroll. Not all clerics are suited to the staples of prayer, meditation, and preaching. Some experience a calling to a more active and physical lifestyle. Some sects dedicate themselves to martial training with the intention of becoming holy warriors. In fact, these militant orders are often tapped to bolster the ranks of a sovereign’s army. They are renowned for their skill and discipline, even when facing terrifying odds. Other clerics choose to specialize in fighting the supernatural enemies of their patron deity, or follow a personal quest to eliminate the Unholy minions of the living dead. There are many paths to follow in the quest to honor one’s deity. Most of the alternative cleric skills are based on PREsence, the individual’s mental discipline. No other path is weighted so heavily on these sorts of skills. The concentration and self-discipline required to perform these skills can be enormous, but the results are worth it. Definitions for each skill can be found under the Skill Descriptions listing, but they include a significant range of effects. Some allow a cleric to cause additional or Divine damage with a weapon, while others summon spiritual defenses. Some allow extraordinary healing and injury prevention through the exertion of sheer willpower. No matter what path a cleric chooses to follow, or what deity he/she worships, the penultimate goal of any true disciple is to attain Unconditional Devotion. Only those with extreme dedication and conviction can even dream of realizing such a goal. The effects of this ability will vary to suit the personal nature of the individual cleric and enhance his/her unity with the deity. Unconditional Devotion is assumed to occur with the deity for whom a cleric has the highest Faith level. In most cases this will be the primary deity, but not necessarily always. This ability may be purchased only once, so clerics must be sure they are faithful to the deity they wish to serve for the rest of their lives. Attainment of Unconditional Devotion could even make the cleric a potential candidate for sainthood. The opportunities on the Cleric skill path cover a wide range of character styles. Virtually any sort of priest, monk, cleric, healer, or templar can be recreated through these skills. Players are encouraged to be creative in the use and application of prayers and skills. If you have an idea for a new prayer, or an alternate version of an existing one, send your idea to the game staff. If it is good, it may eventually appear in the game. 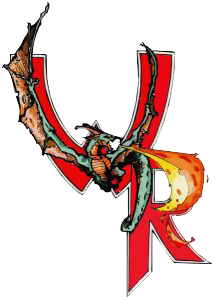 Remember, Wyvern Rising is a dynamic, expanding game system with virtually endless role-playing opportunities.